As the Men’s Octet began singing, this flyer was handed to us by someone trying to make an (ironically humorous) statement … we think. 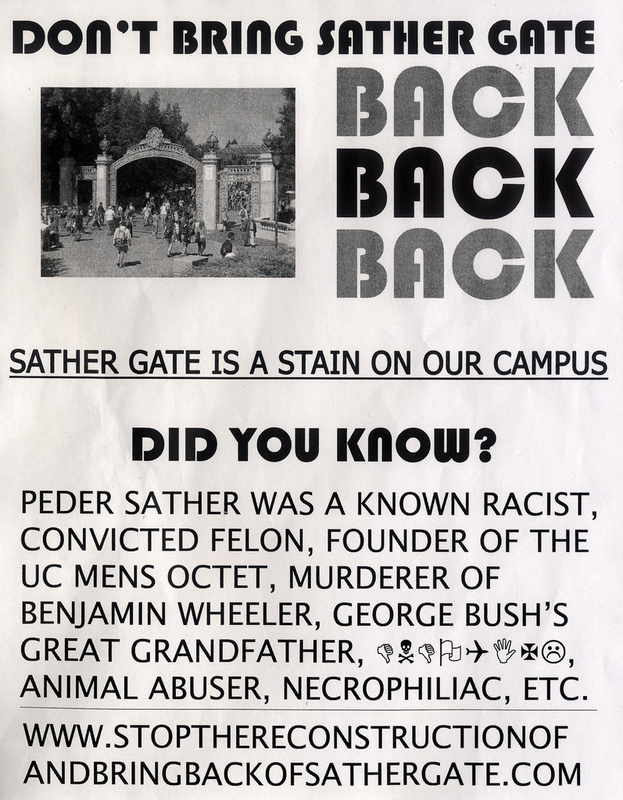 In the process of hating on Sather Gate, the protesters blocked access to the gate itself. Nice. To note: the Wingdings message is gibberish, so don’t bother. Also, the Website doesn’t exist either. And is the misspelling of “their” intentional?